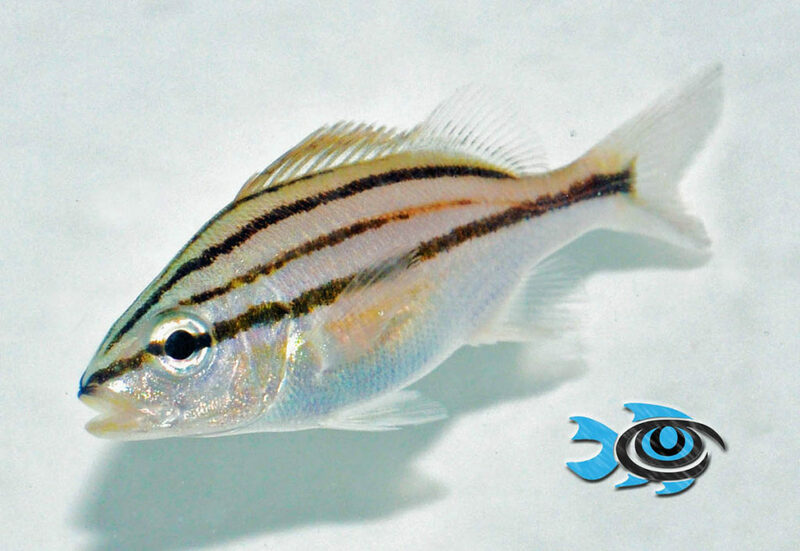 The Cottonwick Grunt, Haemulon melanurum, is one of the newest fish species captive-bred by FishEye Aquacutlure, Dade City, Florida. Aquacultured Cottonwick Grunts (Haemulon melanurum) are now available through our Aquacultured Display Collection!!! A close-up look at an adult Cottonwick Grunt. With a reported common adult size of 10 inches (25 cm), big schools of these fish will make for great public aquarium displays. 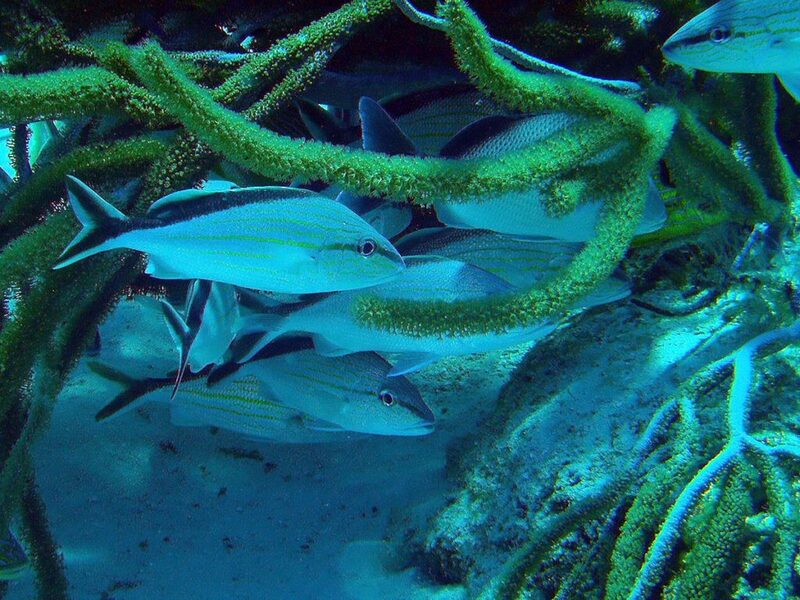 Native throughout the Caribbean Sea, adult Cottonwicks can be found schooling on reefs and shipwrecks, while juveniles tend to shelter in seagrass beds. 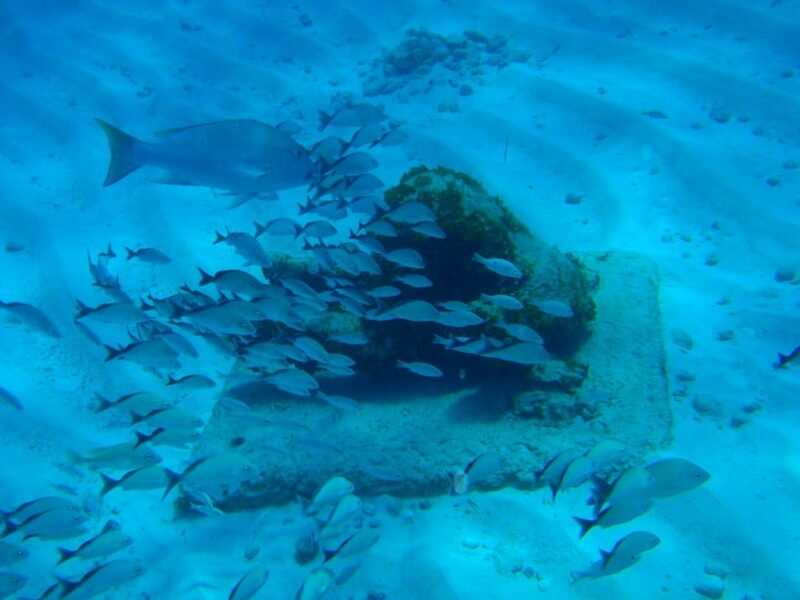 Adult fish display a distinctive black back and tail, silvery body, and narrow yellow stripes. 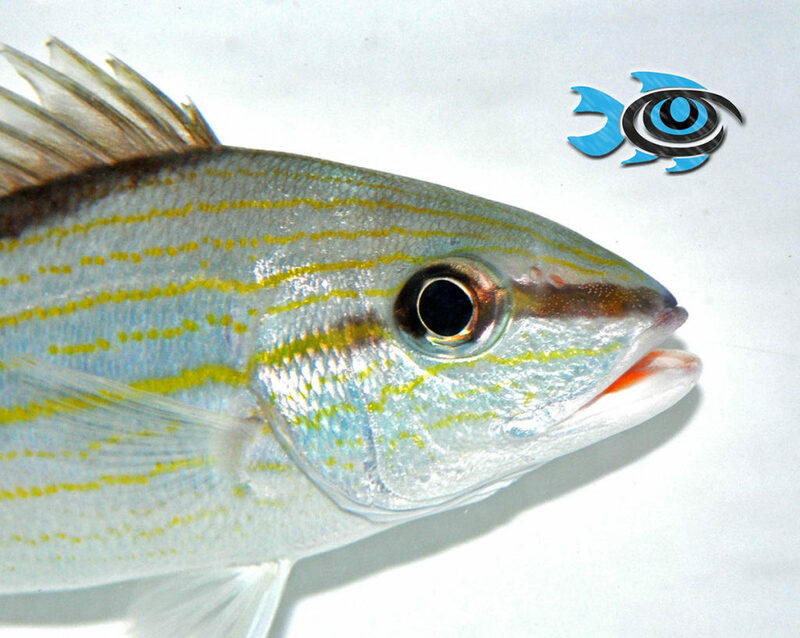 These colors and markings make for a stunning fish alone, but a large school will take your breath away. 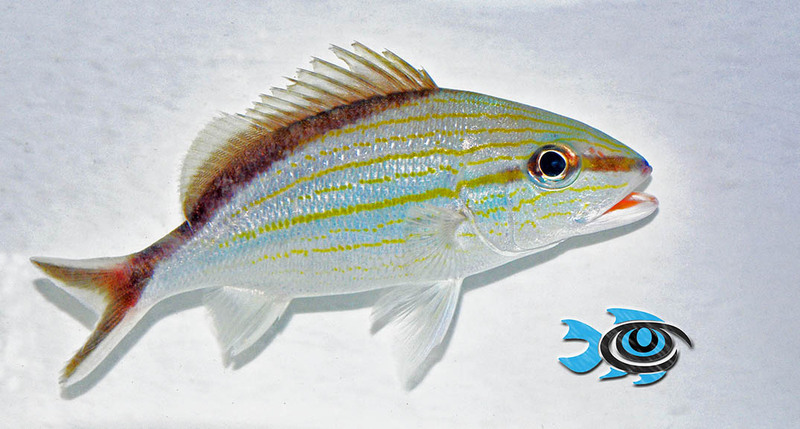 This is an example of a juvenile Cottonwick Grunt which has yet to transition to adult coloration. This is how the fish will appear when first offered for sale.